Turn up the volume in your hair with Batiste Heavenly Volume. This multi-tasking product refreshes your locks and gives hair that gorgeous, touchable bounce you love. The perfect product for anyone who loves a boost of volume that smells divine. And like all things heavenly it won’t leave your hair sticky or stiff. 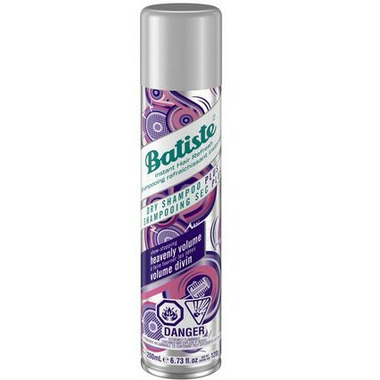 For the past five years, I have been a committed Batiste dry shampoo user. I go through a bottle every couple of months. This is the best dry shampoo I have ever purchased! The smell is a bit stronger than I would have liked but the coverage is amazing. If you haven't used Batiste before, I highly HIGHLY recommend it. It truly is life-changing.